As the clock on the 20th century wound down, some people were busy stockpiling supplies in case the Y2K bug caused computers around the world to crash and send the financial markets into a tailspin. As it turns out, the dot com bubble burst in 2001 for different reasons. The 1990s can be remembered for many other things, among them advancements in software that opened up new avenues for communication, entertainment and business productivity. What were a few of the hallmark software programs that were widely used in the 90s? And what are the modern descendants that people are using today? The 90s was the decade that saw the explosive growth of internet use, spurred in part by the ubiquitous America Online (AOL) CDs (CDs!) that offered software for accessing the internet and email. Some estimates suggest that AOL alone spent over $300m and produced over a billion promotional CDs during the multi-year marketing campaign. The discs were made available in different languages in many countries; a sub-culture of disc collectors have archives of thousands of different disc designs. AOL integrated a graphical user interface with its email and internet browser to the point where users couldn’t distinguish between the internet and AOL services – and that was the point. It was easy to use. For another, fast growing set of users, a standalone internet browser from a small company called Netscape Navigator was the best way to view the web pages. After garnering a dominant share of the market for web browsers, Netscape continued to add functionality that Microsoft saw as being capable of disintermediating consumers from their use of the Windows operating system. Microsoft responded by developing Internet Explorer and offering both consumer and business their browser for free. By version 4.0, Microsoft had integrated Explorer into Microsoft Windows and leveraged its distribution to eventually overtake Netscape as the most widely used web browser. 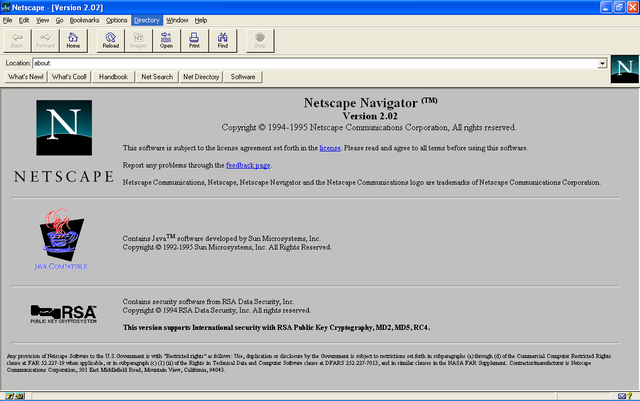 AOL acquired Netscape in 1998. Of course, now browsers are a standard application on mobile phones, tablets and other devices. Netscape’s software lives on as the Firefox browser, its code having been open-sourced and maintained and developed by the Mozilla Foundation. Numerous other browsers are based on this code, including Google Chrome. Microsoft continued to develop Internet Explorer through 2015, with Microsoft Edge being its eventual replacement as Microsoft’s web browser along with the introduction of Windows 10. While we’re waxing nostalgic about companies and products gone by, AOL was responsible for another phenomenon- AIM (short for AOL Instant Messenger), which enabled people to see immediately who was online and available to “chat.” Technology such as IRC (Internet Relay Chat) for facilitating communications in real time had been around for a while, but AIM made the technology easy to use, and AOL marketing helped it become widely used in the late 90s. ICQ, Yahoo! Messenger and MSN Messenger were also widely used IM products at that time. Social networks like Facebook, Instagram, Snapchat and WhatsApp have overtaken AIM as a means of communication in the consumer market. 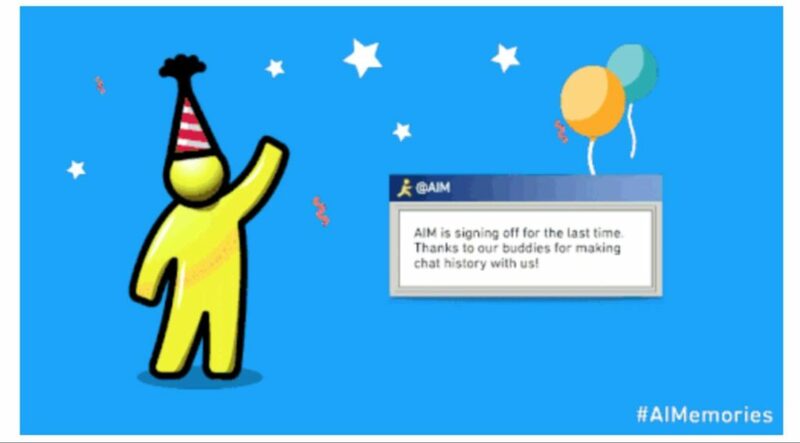 AIM, which debuted in 1997, was officially discontinued in December 2017. The browser wars were one of the primary battlefronts for companies in the 90s, but video streaming quickly became another. At the forefront was the Progressive Networks (later renamed RealNetworks) which introduced one of the first applications that could be used to stream media over the internet. Real claimed to have over 100m registered users of its software by the end of the decade. Like Netscape before it, the ability of Microsoft and Apple to bundle Windows Media Player and Apple Quicktime, respectively, into their products blunted the impact RealNetworks had on streaming media in the ensuing decade. Kids can’t believe that people once watched video on boxes with black and white pictures. Or on a postage stamp sized window on a PC. On-demand video can be viewed in glorious high definition on services from YouTube, Netflix, Hulu, Amazon and many others, with Netflix aiming to get more people watching in ultra high definition 4K formats – delivered over the internet. In terms of music, Spotify, Apple Music, Pandora and many other services provide vast libraries of music from their subscription services. As processor and graphics capabilities increased during the 90s, the level of realism in game play kept moving up to the point where a whole genre of movies, called machinima, came about from the use of the graphics ‘engines’ used by the popular first-person shooter (FPS) games of the era. 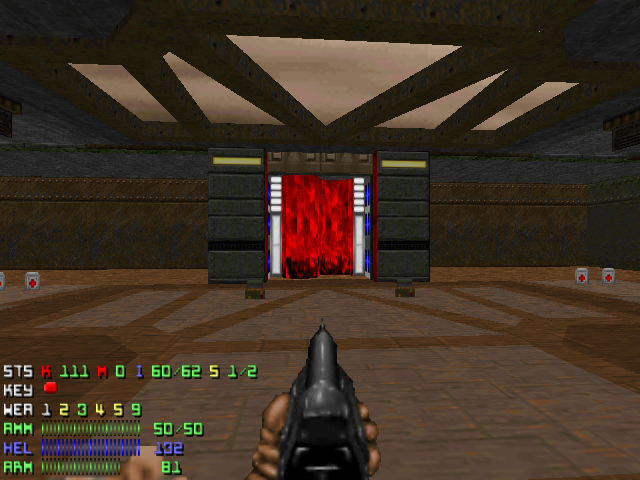 Doom was a sci-fi inspired FPS first released in 1993, and it later begat games such as Quake. There were many other popular games that people installed on their computers in the 90s – Myst, Star Wars X-Wing among them – but the popularity of the FPS genre remains unabated. It wasn’t all fun and games in the 90s. Office productivity applications that ruled the business world included Microsoft Office. Although Microsoft had separate word processing, spreadsheet, and presentation software, Microsoft bundled the programs together in Office in 1990. The company had competition from programs like WordPerfect (word processing), spreadsheets (Lotus 1-2-3), and presentation software (Aldus Persuasion, Lotus Freelance Graphics). Bundling with the Windows Operating System helped ensure the widespread adoption of Office. The rise of cloud computing has not left office software untouched. Running productivity applications and storing documents in the cloud has opened the door for new services. Google has its own suite of office applications (Google Docs, Sheets, Slides, and Forms) and applications like Evernote blur the lines between collaboration tools and document organization. Services from companies like Box and Dropbox enable collaboration on documents through cloud-based storage. Lotus Notes was the original “groupware,” a tool that enabled centralized coordination of calendars, communications in the form of email and message boards, and directory access. Its programmability enabled the creation of document management workflows important in the running of businesses. Notes was enterprise collaboration software before anybody called it that, but these days Slack has taken up the torch for communication in the enterprise for business, while Jive and Yammer (Microsoft) are communication/collaboration tools that have also gained widespread adoption. Finally, our list of software that everybody used in the 90s concludes with Microsoft Windows. It’s not a program, per se, but the system software that is used to control a computer’s basic hardware functions and manage the use of services by applications. Perhaps a controversial choice with Apple fans, but in the 90s, Microsoft was the predominant desktop operating system supplier, and still constitutes the OS installed on the majority of desktop PCs. Microsoft’s Windows OS came into its own by version 3.0, introduced in 1990, with other significant releases including Windows 95 and Windows 98 before the decade was out. computers use Apple’s MacOS, while enterprise and cloud computing services often use variants of the Linux operating system.